Experienced, quality builders of specialty and custom products for the Oil and Gas, Environmental, Manufacturing and Construction Industries. Throughout our history Wesure has developed and patented many products that have become benchmarks in the industries we serve. The Wesure Team is known for the highest standard of manufacturing and product excellence, backed by exceptional service that exceeds customer expectations. Established in 1975, Wesure started out as a custom fabrication shop producing a unique, patented sulphur remelter and has grown and diversified its activities ever since. We have worked with companies worldwide to become the go-to company for Calgary steel fabrication. 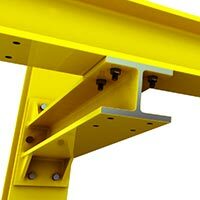 Today, our patented pre-engineered steel support columns are industry leaders in Western Canada. Our custom steel fabrication services now encompass projects for industries as diverse as the oil and gas sector, environmental services, recreation & leisure and the construction industries among others. We are a recognized leader in design, technology, reliability and integrity. What makes us a quality-driven business begins with how the organization is run. The Wesure philosophy for metal manufacturing and steel fabrication is simple: Wesure can build it and when can we start? This mentality is the very essence of how we operate – from the top to the bottom – and it transcends every layer of our work force. 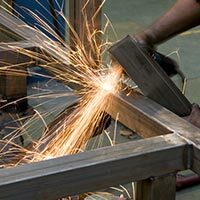 With our highly skilled staff and our technical consulting partners, we offer design, engineering and metal manufacturing expertise as well as custom fabrication services. As for customer service; our goal, focus and attitude is how to constantly improve and deliver your projects correctly and on time. Looking forward, we are actively evolving and improving of our construction products and services to stay at the forefront of the industry. In metal manufacturing, we continue to embrace new opportunities with the same passion and innovation that has become a Wesure specialty. At Wesure, we operate at the highest level of integrity with no compromise. We continue to be leaders in the industry, developing innovative and superior products for the marketplace. The foundation of our business is building strong connections – in steel, with our customers and with our suppliers. We believe that "it’s not just what you do, but how you do it!" © Copyright 2018, Wesure Metal Manufacturing. All Rights Reserved. Site Design by Brouwer Graphic Design.